SENDAI – An elementary school where more than 80 pupils and teachers lost their lives as the 2011 tsunami washed out Ishinomaki, Miyagi Prefecture, will be preserved to remember what happened and improve the city’s disaster preparedness, the mayor said. Public opinion was split about whether Okawa Elementary School should be preserved or demolished. 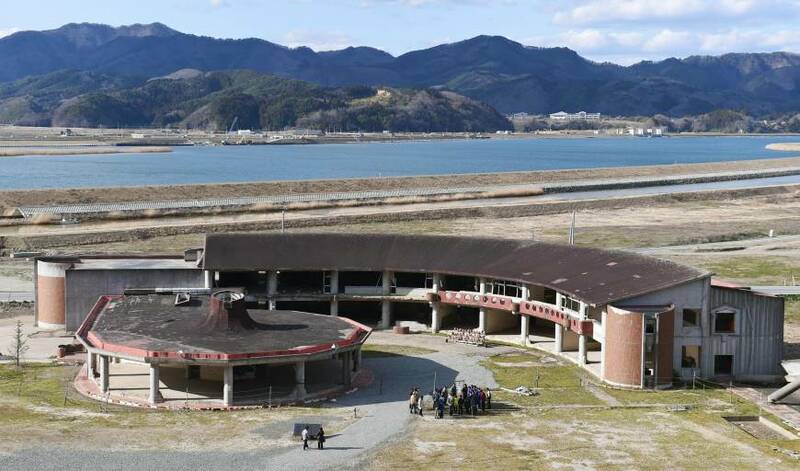 But at a news conference Saturday, Ishinomaki Mayor Hiroshi Kameyama unveiled a plan to turn the building into a monument. “It’s an important place to remember and mourn the victims as well as educate people about disaster preparedness and pass on what transpired,” he said. Since some families say they cannot bear the sight of the building, the plan is to shield it with trees and redevelop the area as a memorial park, city officials said. A council of citizens set up last May to discuss the issue will advise the mayor on the park development project. On March 11, 2011, students, teachers and other employees of Okawa Elementary spent 50 minutes waiting in the school yard after the offshore magnitude-9 temblor struck at 2:46 p.m.
Just after they began evacuating, the tsunami hit, killing 84 students and staff in what became the nation’s deadliest school-linked disaster. “We would like to commit ourselves to disaster prevention and mitigation so that we will never see human casualties again,” Kameyama said. The steel-reinforced two-story building was completely flooded to the ceiling of the second floor. The mayor explained the importance of preserving the ruins. “To raise awareness about disaster preparedness, we need to keep what we have as is,” he said. The city said it was not expecting to incur maintenance costs for the structure as there is no plan to reinforce it for quake resistance. The cost of the conservation project is estimated at ¥530 million. The Ishinomaki Municipal Government has also decided to save part of Kadonowaki Elementary School, which was struck by both tsunami and fire in the wake of the devastating earthquake.